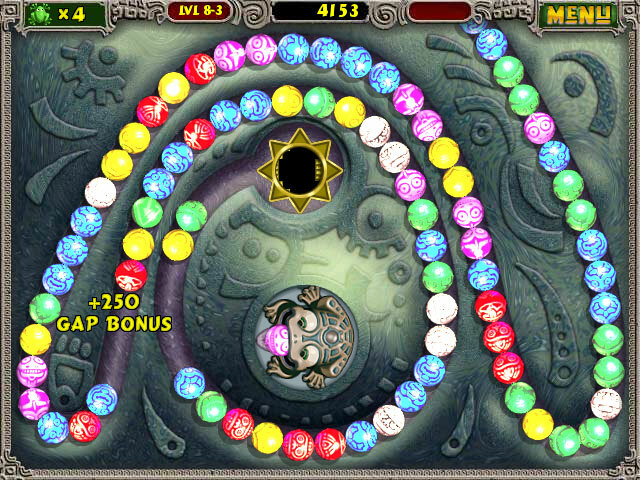 Zuma Deluxe action game: Ball blasting action set in the world of Zuma. Click thumbnails to see a full-size screen shot. 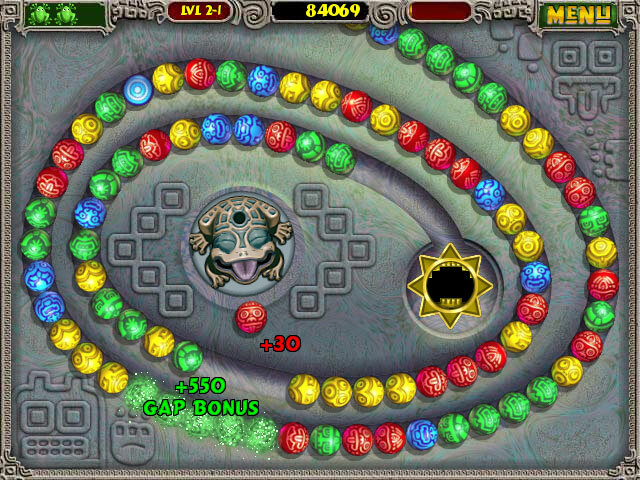 Fire balls to make sets of three, but don't let them reach the golden skull or you're history! 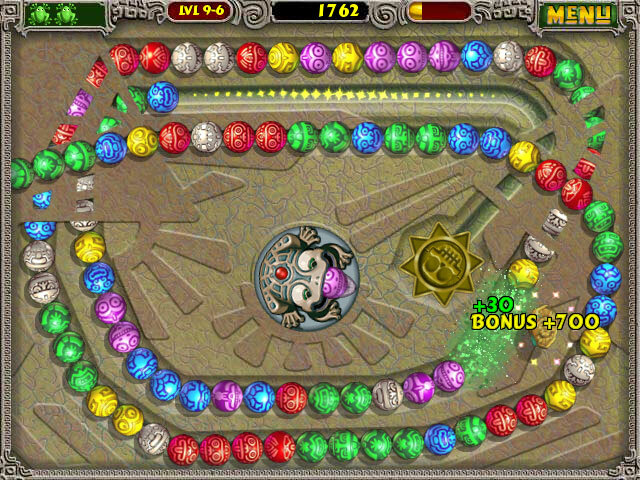 Over 20 temples and 100 levels to explore! Easy to play, hard to put down! 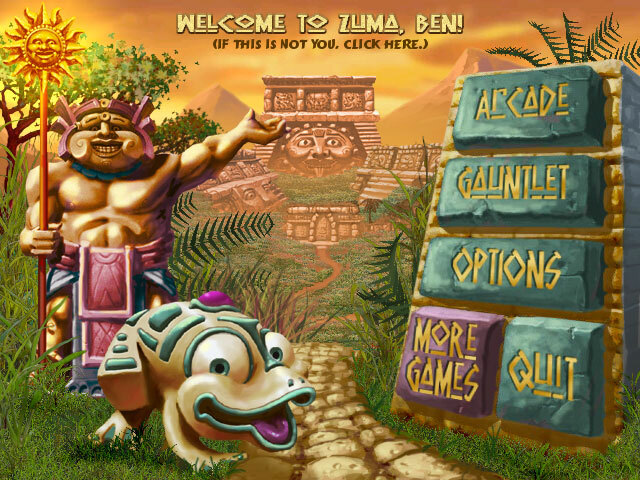 Buy Zuma Deluxe now! We are glad to see you at our site and would like to offer you a special discount on this game!